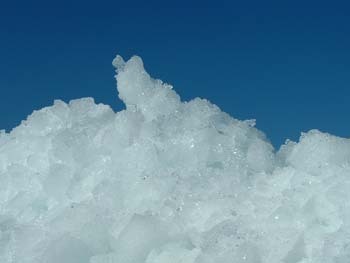 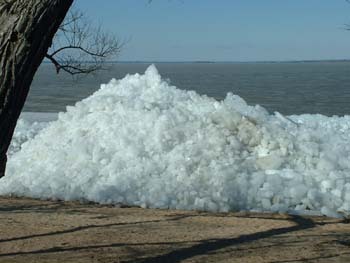 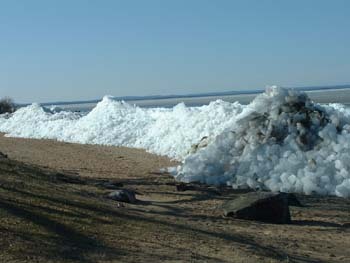 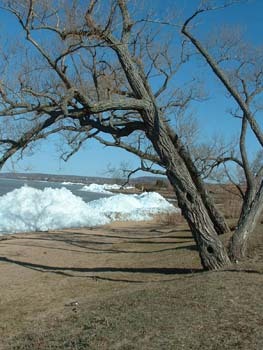 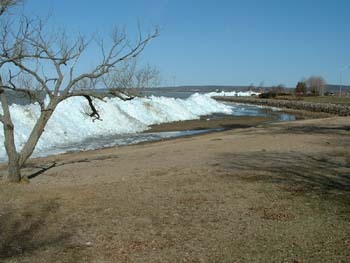 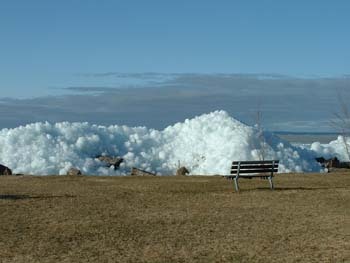 Every spring the ice on Lake Nipissing breaks up and accumulates on the lake’s shorelines. 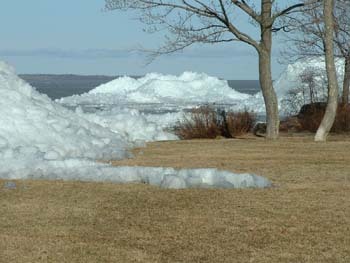 Usually this happens on the south shore. 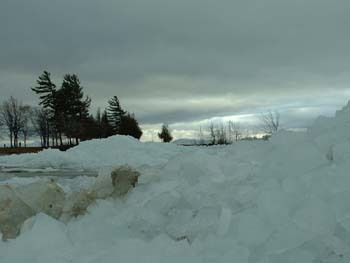 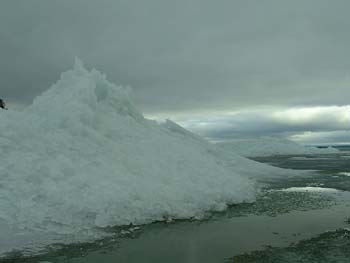 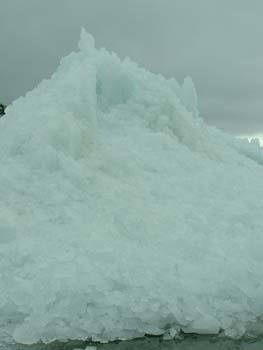 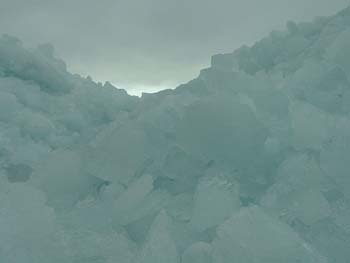 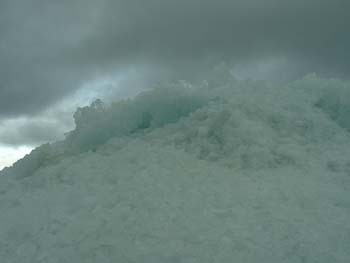 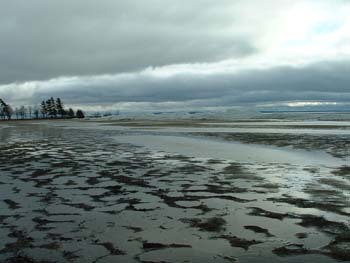 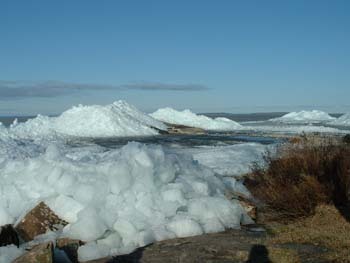 In 2005 the ice came into North Bay and mountains of ice could be seen at Sunset Point and at the waterfront where these images were taken. 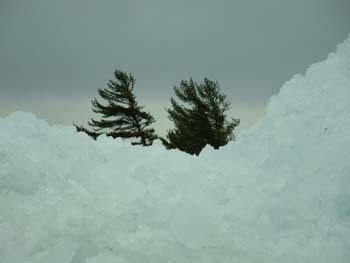 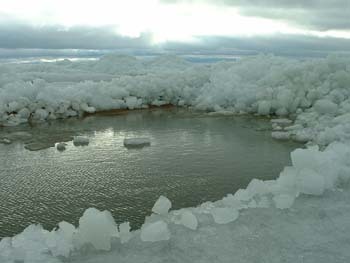 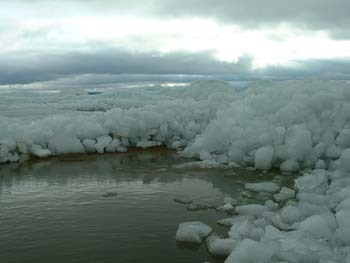 This entry was posted in Environment and tagged ice accumulation, Lake Nipissing, spring breakup on June 6, 2013 by Françoise Noël.